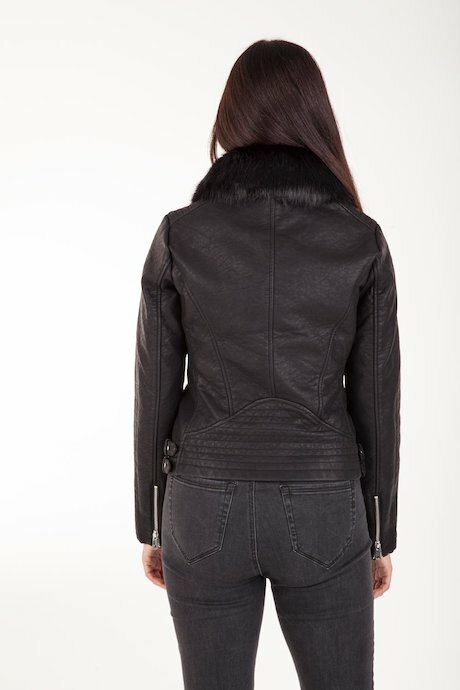 Censured women's leather jackets collection is trendy and contemporary. Italian design and high quality fabrics for items easy to wear in any occasion and with any look, from the most elegant to the more informal. Fall Winter collection offers both real leather and faux leather jackets. You will find essential and clean cut styles along with more scrappy style, with studs and fur hood borders. A must have garment for trendy women and girls of today. Perfect to withstand the first cold days of the new season. Look below for detailed technical information.